It’s so much a pleasure to have a front seat on the literary revolution looming on the horizon – Nigeria’s horizon I mean. It’s honestly so cool to see us take our own fate as far as our love; literature in our own hands. It’s a thrilling something. 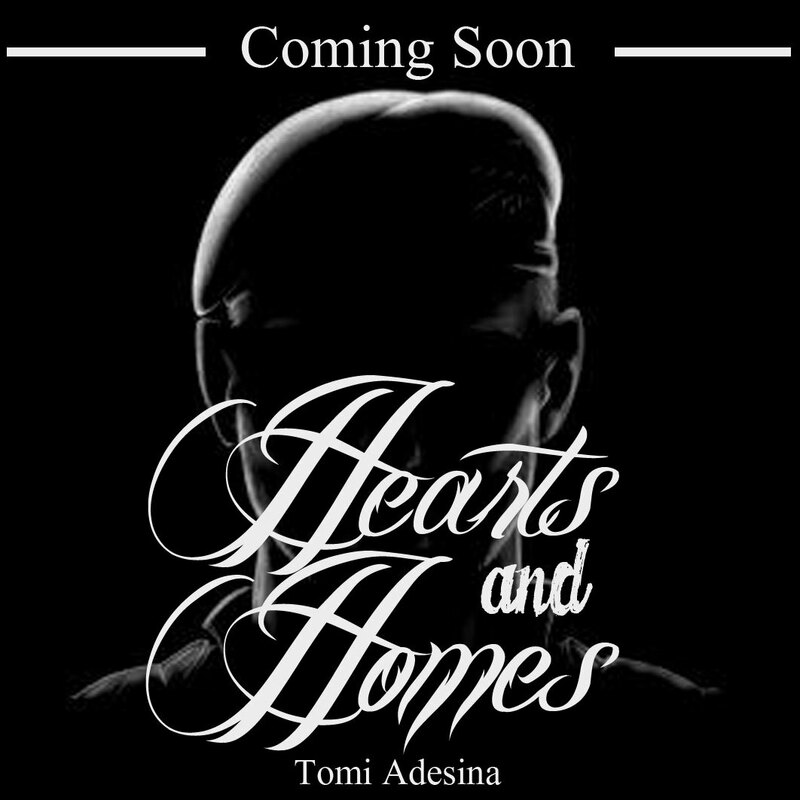 Another notch in the cap of said revolution is a novella by one of my ones, Tomi Adesina, a special pessin (you wouldn’t know it by the way she ignores me). She gives us a free ebook – Hearts and Homes to commemorate the disappearance of the Chibok Girls a year ago – on the 14th of April 2014. It’s been a year since the disappearance of the Chibok Girls – and many of our questions still remain unanswered. Tomi seeks to remind us, in few but tasteful words to not forget. Synopsis: Set during the time of the raging insurgency in the North-East of Nigeria, Hearts and Homes tells the story of a Soldier who has to leave his family behind in the quest for finding the girls that had been kidnapped by the dreaded terrorist group, Boko Haram. Bag Lady IV – End. Lola’s fingers fluttered – much like a bird with a broken wing as they touched the neck of her blouse. “Where is that R. Kelly coming from?” She asked the air in the room. Bisi looked like she had slept in her room and woken up at the nearest BRT stop – naked. In fact, only then did she realize she was standing in her underwear. “Close the door you,” she snapped at her sister. Dare slid in the room, purse in her grip like a book – or like an iPad. An imperial hand waved her to silence. Bisi’s steps were muffled as she walked towards the bed near the door. It dipped under her weight – and Lola’s eyes came open. Dare, feeling very much like a third wheel placed the purse she was still carrying on a table beside the door – and quietly slid out the way she came. Under normal circumstances, screams of that nature would have only attracted mild curiosity. After all, the ‘killer’ in question – Kelechi – was a well-to-do bachelor who was generally well-behaved and minded his business. His mother was nice too, polite to the neighbours whenever she came around and particularly to the children and single girls in the neighbourhood. It was no secret. Kelechi’s mum, typically, wanted him to be married. Nobody asked Kelechi’s opinion on the matter, because frankly, no one gave a damn about Kelechi’s opinion on the matter. So maybe Kelechi’s mother had attempted to match-make him with one of her hundreds of friends’ daughters and he had insulted the poor girl. And that, is sacrilege as far as tradition goes. Hence the ‘you have killed me’ wailing. So it could have been Kelechi’s mother screaming. Except – she wasn’t in town. The neighbours too, had had to put their questions about Kelechi’s manhood to rest when suddenly a long-legged dark-eyed beauty started appearing in the house. First time she appeared on Egbado Street, wearing a blue and white number that put her hips and legs to maximum effect, neighbours crowded their windows and doorways. They had to know where she was going. When she entered Kelechi’s compound, everyone on the street sighed – though the inspiration behind the sighs were as different as the faces of the ‘sighees’. Before long the news spread. Kelechi had a girlfriend. It is generally accepted that once a guy has a girlfriend, some ‘between-the-sheets’ action is a given. It didn’t matter if they were religious, pious or sacrilegious. As long as there was nothing wrong with either of them, it was going down. So most likely, Kelechi’s dark madam was the one screaming. And giving the nature; the context of the screaming – and the timing; 3:51 on a Wednesday morning, there could only be one reason she – or any woman – would be screaming that way. So we buried our heads in our pillows, mad at NEPA for once for the strangest reason – giving us power at that time of the day because as a result, the neighbourhood was quiet. There were no generators screaming – which means there was no barrier between Kelechi’s girlfriend’s screams and our ears. We tried to sleep, intending to say something in the morning. And frankly, I don’t think we cared. Come, see it stare now like when you catch a lie! Why are you letting the night breeze run wet fingers through your hair? Haven’t I said you’re mine alone; and I won’t share?! First time I got a kiss – man! – my heart rate capitate!